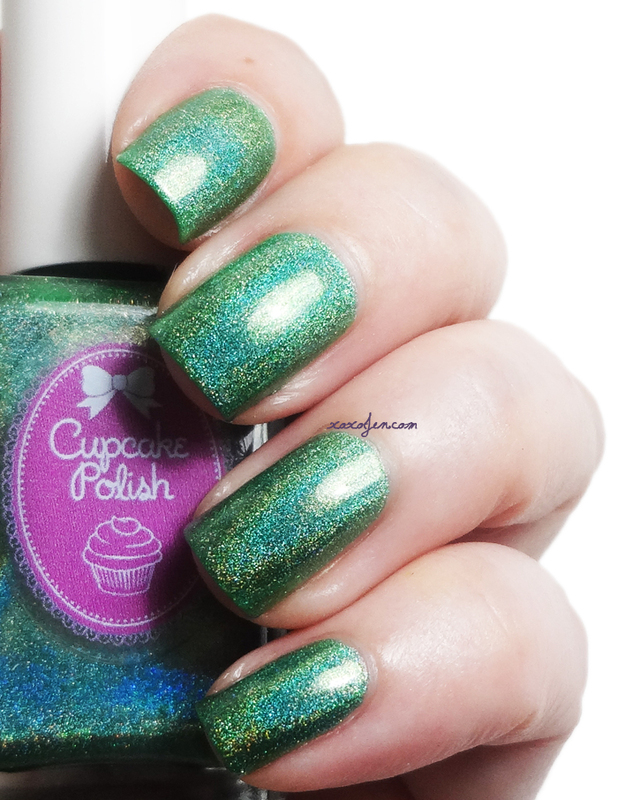 The Berry Patch collection by Cupcake Polish is a beautifully done summer collection of six super holographic polishes. 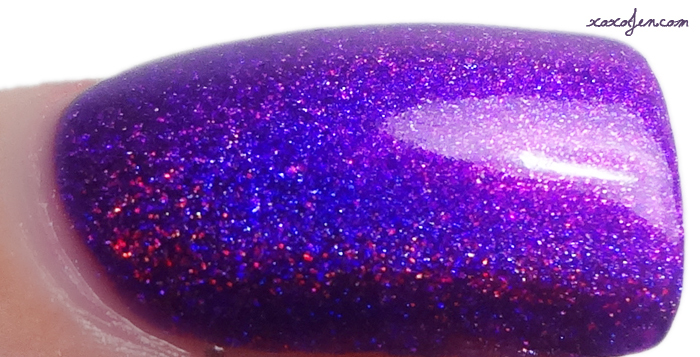 Berry Good Looking is a neon violet holo with strong flashes of pink and blue. Perfect in one coat. The holo is so strong that it overpowers the base color in my photos - but you can see its true base color in the bottle where it's tilted at an angle. I am so glad I swatched this one last, else there would only be this color in my review! 'Cause I'm NOT taking it off of my non-swatching hand. ever. 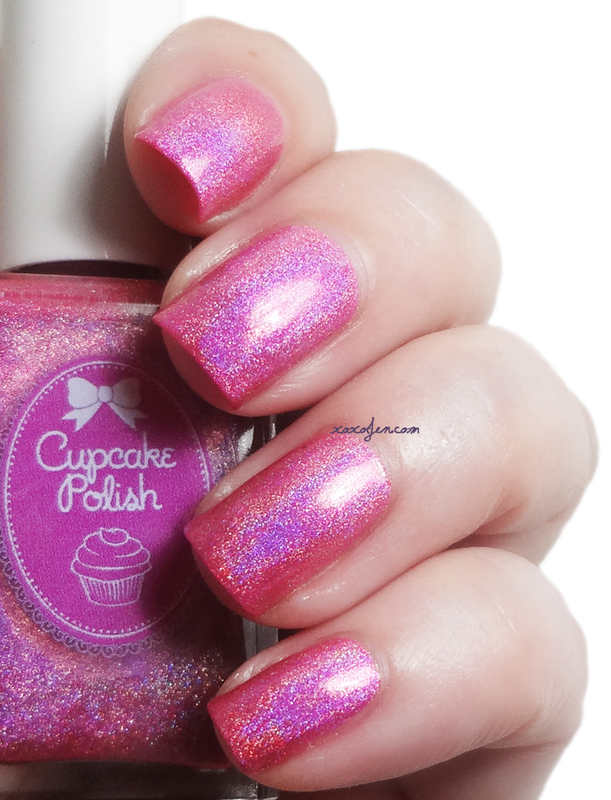 #1 FAVORITE POLISH EVER - All the yes. 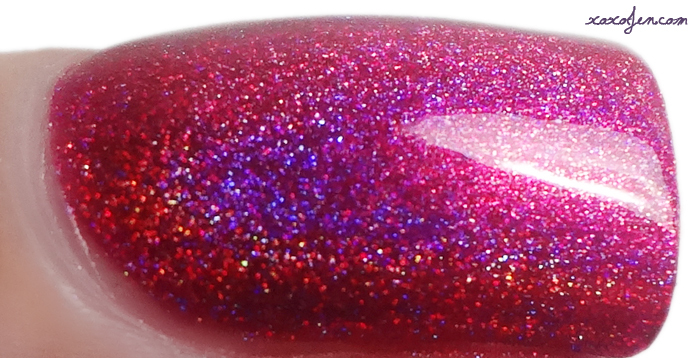 Some Berry To Love is a hot pink holo with flashes of purple. 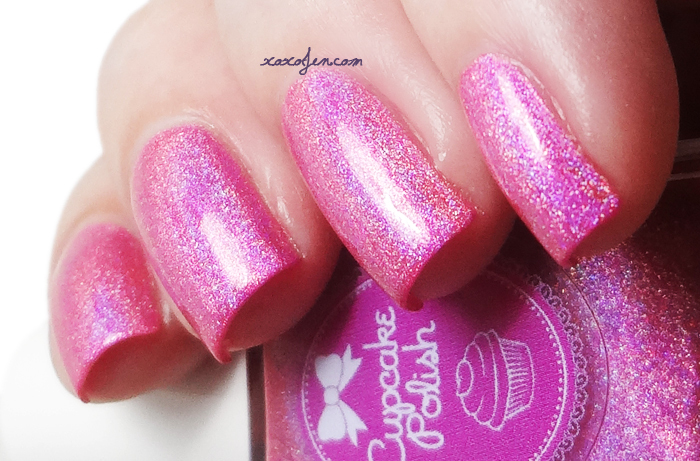 Pink lovers, this one's a dazzler! I wore two coats and topcoat, fantastic formula. Water You Doing? 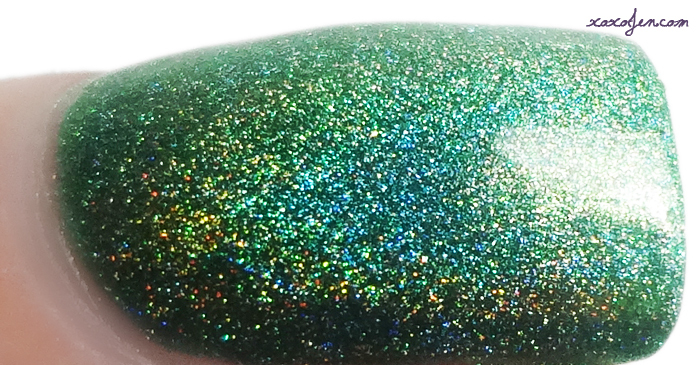 ...checking out this pretty teal oceanic holo, of course! This whole collection is so pretty and the formulas are all fantastic - this is two coats with topcoat. 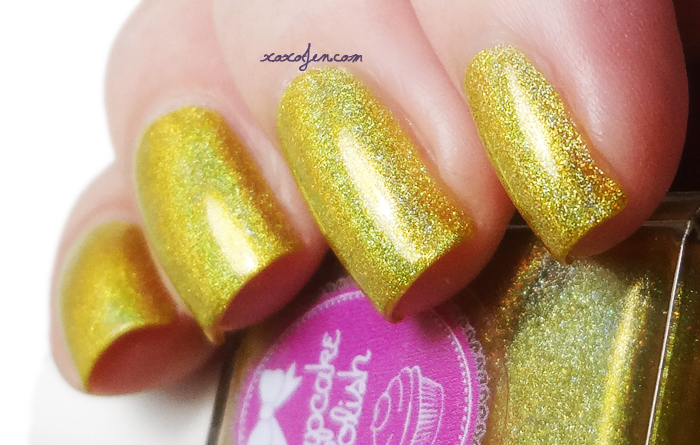 Don't Worry Bee Happy is a buzzy bee golden yellow with a stunning holo flame. 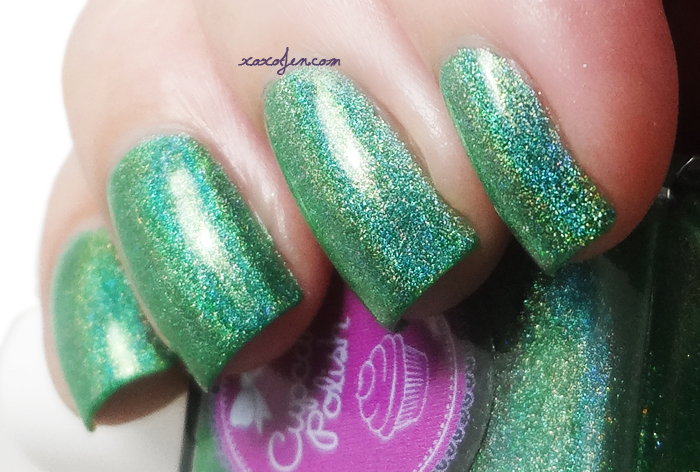 I wore two coats with topcoat and of course this one's formula was spectacular as well. Pick of the Patch is a pretty lighter shade of pink but still vibrant - it leans a little neon! Two easy coats shown here. Leaf Me Alone is a pretty leafy green, in some lights it's more limey and others it's more leafy. Two smooth coats and awesome formula. :D I only speak the truth An! I expect nothing less from you! The truth just happens to be purple, forever and always! So pretty! 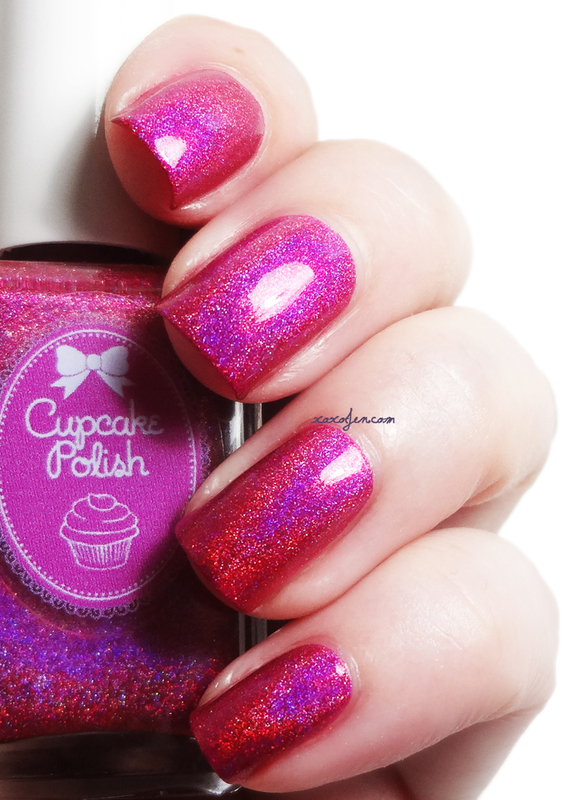 I gotta try some Cupcake Polish now. Yay! I think you'll love it! Yep this confirms I need Berry Good Looking. Your swatch is amazeballs! Thanks! And just wait til you see it in person! I loved how you captured the shifts, very pretty! 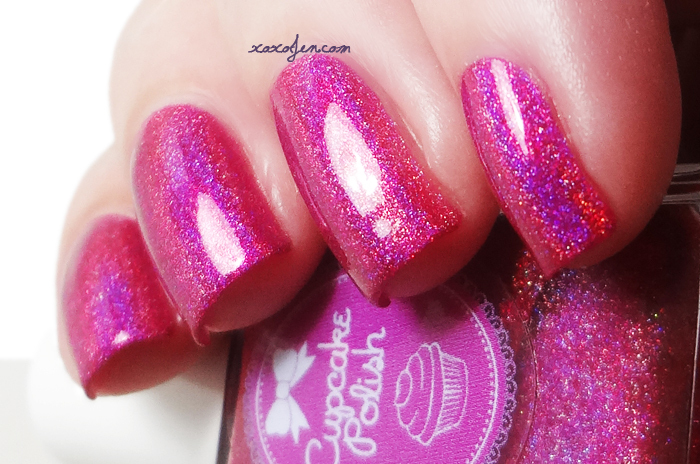 Okay, I don't normally do holos, but your photos have me drooling over these! They're gorgeous!!! 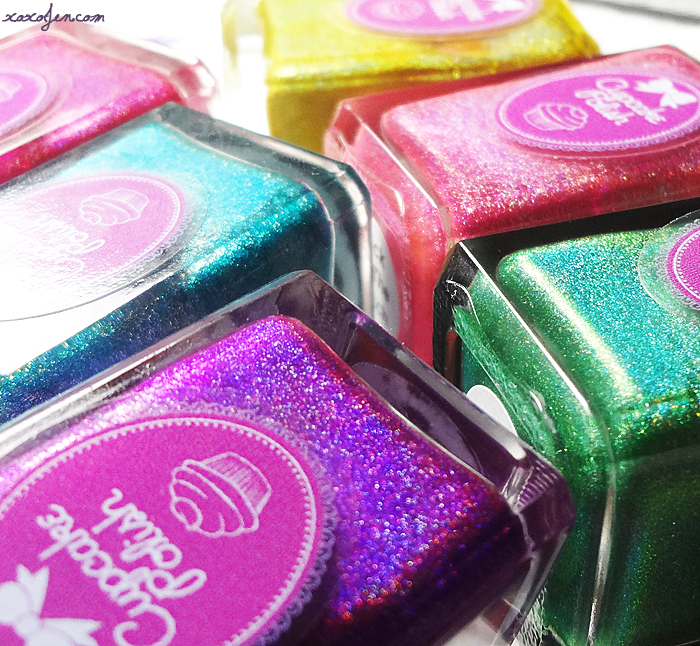 This whole collection is definitely a stand out among other Cupcake polishes! If you only go for one holo set, this is the one!